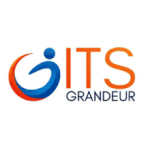 ITS Grandeur (Pvt) Ltd is a contemporary and an innovative Integrated Business Consultancy and HR Services provider. We deliver integrated, personalized, end-to-end business consultancy and HR solutions that will add value to businesses so that the business owners & stakeholders can forge ahead their company to the next level amidst fierce competition and other business challenges. We are capable of providing unique and personalized solutions and services to all our present and intended clients through very strategic approaches thereby giving sophisticated solutions using simplified methods. ITS Grandeur comprises of well experienced, qualified, dynamic and a renowned team of professionals and consultants who are capable and geared to provide diverse and complex solutions and services relating to any business.